When it comes to Hardstyle, it’s impossible to argue the fact that any artist has had a bigger impact on the genre than Headhunterz. From the moment his first records were released, his unique melodic and energetic take on the genre sparked a new movement within the international music scene. A rise unparalleled, Headhunterz continues to take Hardstyle to new heights. Willem Rebergen, better known as Headhunterz, kicked off his DJ career over a decade ago. A visit to Qlimax 2003 lit a spark in Willem, leading to an uncontrollable wildfire, as he dedicated himself to becoming the best producer in the genre. His originals, as well as the album he made with Wildstylez under the Project One moniker, redefined the hardstyle sound of the late 2000’s. Headhunterz’ new take on hardstyle music made the genre grow into an international phenomenon and become something worldly. From 2014-2017, Headhunterz took on a new challenge and found himself headlining major festivals like Ultra Music Festival, Coachella and EDC, making him explore the boundaries of his own, musical imagination and discover new parts of the world as well as different territories within the electronic dance scene. Though it did trigger his creativity, Willem became homesick, missing his beloved hardstyle scene. In 2017, in front of 60,000 ecstatic fans who thought they had lost their hero, he announced his comeback to hardstyle at Defqon.1. With open arms, the community embraced him, as he travelled the world to celebrate his return with fans, old and new. It took him to 125 performances across 34 countries in 2018 alone, a journey which inspired him to create ‘The Return of Headhunterz’, an album that tied past, present and future together. 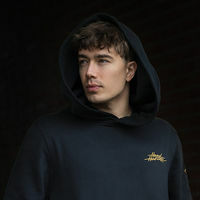 Surpassing 15 million streams on Spotify, the album – along with his #28 position in the 2018 DJ Mag Top 100, showed that, no matter the adventures Headhunterz would undertake, he’ll always find a warm welcome in his home base. The album also marked the launch of a new label – ART OF CREATION, with his colleague Wildstylez. A creative and dynamic platform that bridges the gap between music makers and community. At the same time, Headhunterz relaunched the HARD with STYLE Podcast, recorded live from a brand new studio, with state-of-the-art equipment and sound. This is where new Headhunterz music comes to life, plans to conquer new territory for his tribe are forged and the one thing reigns that will always remain Headhunterz’ greatest achievement; the music from within. Hard With Style, under exclusive license to Cloud 9 Music B.V.
2011 Cloud 9 Music B.V.